BG Innovations is committed to providing the highest quality training and support. Our passion is education and it is evident in everything we do. Please take a moment to get to know our management team. Responding to an increased interest in education due to the arrival of his children and a knack for technology, Chris co-founded BG Innovations in 2003. Prior to BGI, Chris developed the Mercury Free Zone program for the State of Minnesota (responsible for removing 2 tons of mercury from Minnesota schools). 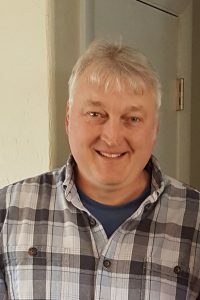 Chris also worked for a number of years in the fishing industry in Oregon and Alaska, initially as a scientist, but later as a crab and salmon fisherman on the Bering Sea. Chris is active in his children's schools - volunteering in his sons' classes and serving as chair on a local charter school school board. Co-founder of BG Innovations - Pam enjoys the combination of technology and teaching. She has been in education for over 20 years - ever since teaching mathematics for the U.S. Peace Corps in the small country of Malawi in Eastern Africa. Recently Pam has been teaching courses for the University of Minnesota, Duluth, as an adjunct instructor. 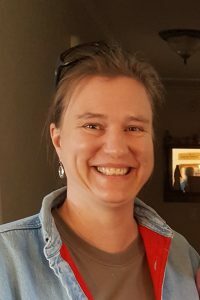 Pam also has worked in the field of Environmental Science, working with organizations like the State of Oregon, the South Saint Louis Soil and Water Conservation District,and the University of Minnesota Sea Grant. Pam's interest in teaching stems not only from her experience in education, but also from her experiences in the environmental field. Pam has a certification in Instructional Design from the University of Wisconsin, and has a Master of Science in Education. Pam is a certified Mimio trainer. BGI researches and selects technology that we feel can improve teaching and learning effectively at a reasonable cost. We work with vendors who respects their customers, and produces high quality products. We also understand that technology doesn't always work perfectly, so we make sure our vendors can provide adequate support.